I realized after the fact that I used two of the same pieces from last year’s Fall 10x10 in this year’s challenge, and I wish I had experimented with new pieces. I cheated and wore an undershirt whenever I wore a sweater. I also wore rain boots when it was raining. I live on the north Oregon coast, so layering items is a daily practice. I wish I had swapped out one of the sweaters for cardigan. I can’t wear anything nice when I print. I should probably invest in coveralls or in more versatile, casual pieces. I wear loungewear for too great a portion of the day and should make more of an effort to wear the actual clothes I have. I didn’t have any ideas for additional outfits (StyleBee had four!) from my selection, so next time, I want to try to include more versatile, layerable items. no. 2 / November is my favorite month because it has the best holidays (my birthday & Thanksgiving). But this November is especially packed with exciting adventures. I’m headed to San Francisco next weekend for the Renegade Craft Fair, spending a few days in Oakland with friends, and then visiting my sister in Yosemite, where she works. Can’t wait for a little getaway! no. 3 / Rainy autumn days call for Billie Holiday radio on Pandora. no. 4 / Hey Portland! Mark your calendars for the The Portland Bazaar. We’ll be at this holiday craft fair December 15-16 10am-4pm at the Iron Fireman Collective. It’s the perfect time to shop for handmade holiday gifts! More info to come as the date gets closer. no. 5 / I really miss Stockholm. I think about living there all the time. And looking at Fine Little Day’s Instagram account just makes me miss it more. 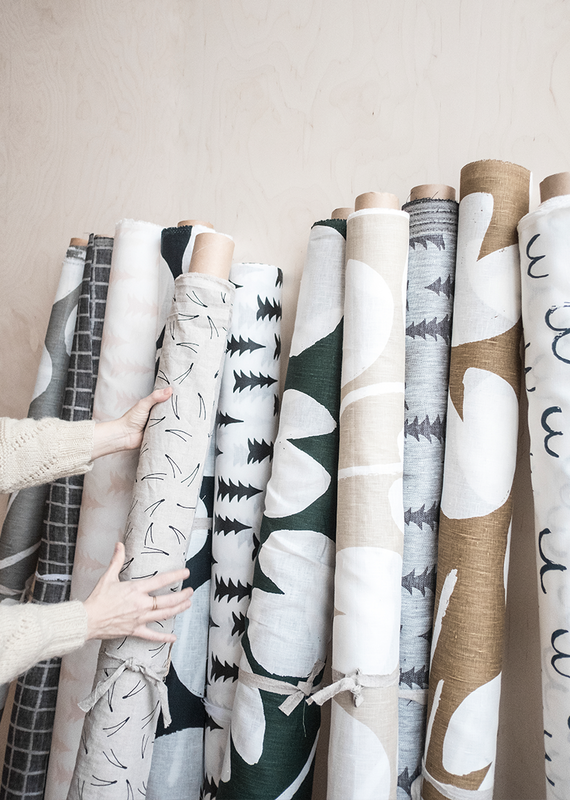 I’m obsessed with the Scandinavian cabin feels and all of their beautiful prints and textiles. This poster is at the top of my want list. no. 6 / Saving up for this super soft Ali Golden sweater or a Babaa cardigan. I can’t decide! no. 7 / Headed to Portland this weekend to spend time with friends and go for a soak at the McMenamins Kennedy School tub. Excited to release the tension built up from a week of sitting at my laptop and leaning over the press!